Is Your Twin Flame Story Breaking Your Connection??? 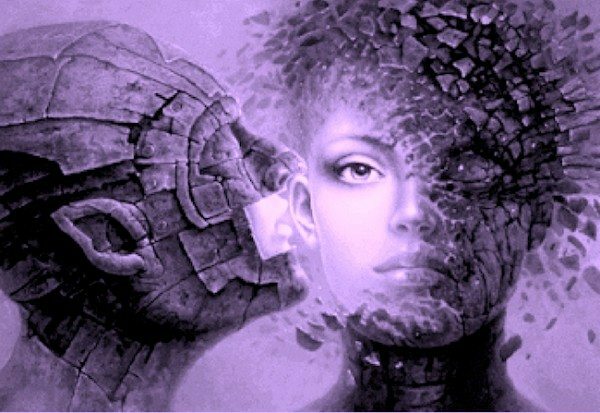 Home Q&A Q&A: Is Your Twin Flame “Story” Making Or Breaking Your Connection??? Could You Be Creating Your Own Turmoil And Struggles Because of Unconscious Negative Programming? Discover The Deep Mind Shift That Can Radically Uplift Your Journey. As always I want to thank you all for being a part of this community and for all the amazing emails and comments I receive from you, I’m so grateful that I get to reach out to you. I want you to know I read all the emails I receive but unfortunately things have gotten so busy with the site that I’m unable to answer everyone. I do my best to address the most common issues and help as many as possible through the blog. If you are experiencing hardship right now, I would strongly advise you to begin clearing your energy as this truly can shift your situation more than anything else I’ve experienced. I created the Free Help Kit for Twin Flames so you and your Twin can start receiving the benefits of working with energy – it contains tools from my Full Vibrational Alignment Program. You can read more about my energy clearing tools here, and have a look at all the amazing shifts other Twins have experienced here. 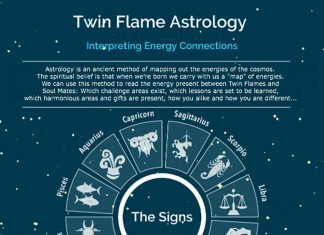 Is Your Twin Flame “Story” Breaking Your Connection? Let’s get started with the basics. The world is all energy and so are we. Our energy field is sending out messages to our surroundings, attracting what is in alignment with our focus, thinking and talking. We are the ones who consistently attract certain experiences. The problem is that the majority of this process happens unconsciously. When you talk, when you write, when you think consistently about things – you create. This is how manifestation works, why “thoughts make things”. This can be either a boost or a block on your Twin Flame journey. Your creative faculties are constantly operating – each thought impacts the energy you send out into the universe and eventually the harvest of the seeds you’ve “sowed”. Our story is a big part of this. Who we think we are, who we tell ourselves we are, who we tell other people we are – and what we tell ourselves about our Twin connection. It’s usually a simple, effective way of keeping track of ourselves and interacting with others. No problem for most people. It’s like a calling card. BUT: it can be a huge block to spiritual growth and in relationships. Especially on the Twin Flame Journey. Someone whose ‘story’ involves them having been divorced three times, is carrying around the energy of being a divorcee… The energy of relationships not lasting. And this is counter to joyous relationships – it becomes a block to manifesting lasting relationships. Someone whose ‘story’ involves being unemployed is carrying around this energy, which is counter to being joyously employed in their dream job. It becomes a block to manifesting that dream job. So many of us walk around with a subconscious “story” that is completely opposed to what we desire, and unfortunately it means we’re blocking our own manifestations. If you’ve always been let down by other people and this is a part of who you see yourself as, no matter how deep down – it will continue to attract those types of circumstances to you energetically. Especially with your Twin Soul – because they are always mirroring back to you your inner issues to help free you from them. For Twin Flames, shadow work and healing unconscious wounds (often with inner child work) is essential to uprooting the old baggage that keeps throwing up blocks for us. Many Twins walk around with powerful unconscious counter-intentions that are keeping them locked in cycles of separation. For example: If you unconsciously believe that men are always unfaithful and will end up hurting you sooner or later – this is a big counter-intention to wanting to come together with your male Twin. In order to “light up” these unconscious blocks and figure out what’s really keeping us from being at that state of immaculate harmony and joy we hope and pray for – one of the first places to look is our “story”. Our personal narrative often “blinds” us to the deeper situation we’re in and keeps us from seeing what’s really going on. When we change our story, we can change our life. Story is the psychology behind mass movements, wars, genocide… and love, peace movements, innovations. Without the justifications of story, it wouldn’t be possible to unite so many people around a common goal. It is the core of how propaganda works. So are many of us in essence feeding ourselves negative propaganda about our Twin Flame connection? In so many ways, yes. When we tell ourselves and reinforce to ourselves that life or the Twin Flame connection is hard and that good things never happen to us, guess what? It becomes a self fulfilling prophecy because our energy is being blueprinted to re-create that same thing over and over, and our actions will all move in that direction. If and when we start to tell ourselves that life or the Twin Flame connection is great, we begin to create differently, take different actions, move in a different direction. This is why clearing negative belief structures is so vital for Twin Flames – we go through this and actually uprooting the blocks in the Energy Clearing Sessions for Twin Flames I’ve created. I hear from Twin Flames from all over the world each and every day. Often people share with me how their Twin is a runner, how their family background might have been challenging, how they are in pain – and I see how real this is to them. The problem is, each time you refer to your Twin Flame as a Runner or Insensitive or Hopeless or tell the story about how they have been unfaithful or whatever else it may be – you reinforce it, entrench it in your experience. Same with referring to yourself as a Chaser. It actually works to give you more of what you don’t want! Likewise, every time you write or speak about “how hard the Twin Flame journey is”, you reinforce it and entrench it in your experience, inviting in more of it. When you change your story, you can literally change your life. People who succeed – whether they are athletes, politicians, or couples who have been happily married for 60 years – don’t have stories about why they can’t do something. Their stories are about how they will achieve their goals, no matter what. With an empowering story, people tend to find a way to make things work how they want. So shifting your story might be the single biggest thing you ever do for your Twin Flame connection – and your life. I was recently taught this incredibly simple method which can actually be kind of fun if you go along. Act as if you were in a coffee shop with a good friend, and you were telling them about why things haven’t worked out the way you’ve wanted. Or you might want to actually do it. Explain why your Twin runs, or why you’re always disappointed by people. Explain all the things that haven’t worked out. All the reasons, justifications, “excuses” – those are your blocks. Now you you’re aware of them, you can clear them. #2) FIND ITS ROOTS, WHERE DOES YOUR STORY COME FROM? Unfortunately we often “inherit” stories and excuses from our families. In metaphysics this is sometimes called “group mind virus” – it refers to everyone in a small group who share the same energy field and programming. I grew up with a father who felt victimized by the world and always expected the worst – it took a long time for me to finally realize I had been acting out the same pattern in my own life, only in a slightly different way. Once I was able to shift out of it, my life truly opened up to new opportunities – things I’d never even been aware of the possibility for began showing up. Spirit is lighting up strongly that many Twin Flames take on each others’ stories. Careful what you read and accept! But know that if you have a lot of “excuses”, justifications and reasons – a story for why things haven’t (yet) worked out – don’t feel bad, it might not even be “yours”. Just get rid of it so you’re not creating struggle for yourself. Now you know what’s blocking you, you can use simple metaphysical clearing tools to painlessly eradicate the energy that’s entrenching these beliefs and “stories” in your space. Every time we repeat something, we put energy behind it – if you’ve been telling yourself that your Twin is a runner for ten years, you will have some more work to do than if you’ve only been focusing on it a few months, for example. The important thing is to get started on clearing it. When you get going, your soul will be flashing up interrelated stories for you so you can get rid of everything that’s not working for you. You might get a vision or flash back of a time in high school relating to a boy who wasn’t into you and you felt really rejected… things that correlate, so you can understand and be freed from it. Decide what you do want. Write your new story of how you would ideally want things to be. Include strong points you already have. You don’t have to make up something completely new, you can choose to focus on your positives as they already exist. It’s your choice. Positive statements such as “I am a strong person, I am someone who is attuned to my soul, I am moving closer to my goals and dreams each and every day.” Then look at your Twin Flame connection and what’s good about it. If you can’t think of much, focus on what you would like if you could choose freely in the whole universe. And experiment with true bliss – focus on your ideal situation, the way your “dream twin flame relationship would be”. Think about it, note down a few key words or even write out a whole day in your ideal life together. Clearing any congested negativity between you and your Twin helps you open up to this if things have been challenging lately. 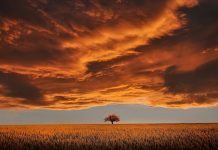 Eradicating negativity helps shift out of the typical Twin Flame stalemate… I was guided by spirit to create a Complete Harmony Healing for Twin Flames to help avoid the triggering between the pair which is so common. In order to get your subconscious mind to fully accept your new “positive story” you have to repeat and reinforce a bit. Research shows it takes 30-45 days to establish new neural pathways. The good news is it can be a lot of fun to do! i) Vision Boards – find images of what relates to your ideal situation with your Twin, and put them on a collage board or hang them in your house or your office, or make a folder on your phone. The idea is they should capture the “essence” of what you desire. ii) Creative Visualization – Guided or non guided meditation where you focus on the experience of living your ideal right now, and focus on those positive feelings. This attunes your energy to attract it. I specially designed a guided creative visualization meditation for Twin Flames which you might find useful – it includes some “mind tricks” to get your unconscious mind on board and eradicate resistance – have a look here. iii) “Scripting Reality” – I developed this on my journey and it’s still one of my favorite methods of manifestation because it doesn’t matter if you’re not very visually oriented in meditation or not! The method is to simply write out your ideal situations, the way you would like them to be – as if you have already experienced them that day. Write it like a journal but as if it already happened. This can be incredibly powerful for “fooling” your subconscious mind and establishing new patterns. I’ve often written things out like this only to have them happen in some mysterious way within the next few weeks. What’s important is to clear any counter-intentions, otherwise you might be blocking yourself. Want more? For an easy, smooth way to clear blocks, heal your energy and harmonize your journey with your Twin, have a look at the Vibrational Alignment Program for Twin Flames. Alternatively you can try our Free Starter Kit, which includes selections of the full program. Do you want more articles about Twin Flames in your inbox?